Apna Recharge's mobile and DTH recharges ensures that there won't be a scenario where you run out of balance or miss a deadline. 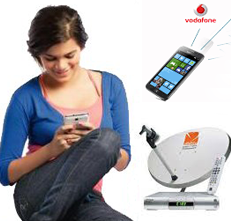 Our online mobile and DTH recharge portals are Safe, Secure and Reliable. Apna Recharge can be used to recharge numbers from any of India's telecom companies and DTH services. Be it your own number or for friends, Apna Recharge provides you with the safest and quickest means to do a recharge. Easy availability of our site on your mobile devices gives you the freedom to do recharges on the go. Apna Recharge is tailor-made to support the biggest telecommunication networks in the country.